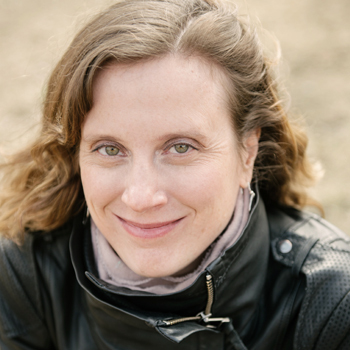 Waterloo — Novelist and memoirist Alison Pick has been chosen as Wilfrid Laurier University’s Edna Staebler Visiting Writer for the Fall 2018 term. Pick is an award-winning author whose accomplishments in three genres – fiction, memoir and poetry – have been internationally recognized and published in multiple languages. She is the author of three novels, including Far to Go, which was long-listed for the Man Booker Prize in 2011; one memoir, Between Gods, which won the Canadian Jewish Book Award for Memoir and addresses Pick’s search for her heritage; and two poetry collections. She has extensive experience in working with new writers and has taught at the Banff Centre for the Arts, the Sage Hill Writing Experience in Saskatchewan, the Humber School for Writers, and the Iceland Writers Retreat. During her time on Laurier’s Waterloo and Brantford campuses, Oct. 22 to Nov. 2, Pick will be working on her new novel, a project with the working title The Bluebird of Happiness. She will also be available to visit classes, conduct workshops, offer literary readings and mentor writers in the Laurier community one-on-one. The Edna Staebler Laurier Writer-in-Residence positions were established in 2012 with a bequest from the late Edna Staebler, prolific creative non-fiction writer and author of the very popular Schmecks series of books that celebrate the culture of Waterloo Region. Previous Staebler Laurier writers in residence and visiting writers include creative non-fiction writer Emily Urquhart (2018), novelist Pasha Malla (2017), fiction writer Ashley Little (2017), playwright Drew Hayden Taylor (2016), poet Sonnet L’Abbé (2015), playwright and librettist Colleen Murphy (2014), and creative non-fiction writer Andrew Westoll (2013).